John, Greg, and Pat discuss how Jacksonville, Florida, has been blanketed with billboards requesting NFL Jacksonville Jaguars football team owner to sign Tim Tebow as the team’s quarterback. They continue to discuss how Tim has been a faithful witness for the Lord throughout his football career. They remind us to believe in our dreams and not to surrender what God has called us to do to the voices and opinion of men. God used this young man as he boldly took to the field and gave God all the glory. Although Tim has played for several NFL teams and is currently not on a team they encourage us to pray for him and watch for how God will continue to use him. 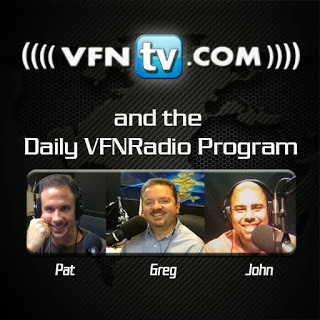 Greg, John, and Pat discuss the jail of jealousy and the guards of envy. They continued to discuss how many people today live behind prison bars. They continue to discuss how often times others are blamed for the place people find themselves in. Jealousy is defined as fearful or wary of being supplanted; resentful, bitter or envious. The body of Christ has many parts. We shouldn’t resist what God has called us to be but rather celebrate and function as He called us to function. We need to listen to the five-fold ministry. Let’s fix the confinement issue. They continue to share how jealousy has affected not the world but some pastors in the church as they compare themselves by each other. The key to being free from a spirit of jealousy is first being able to admit it. Once you admit it you can break the hold that demonic spirit has had on you. Even though you have been forgiven now you need to renounce giving satan any authority in your life. Just preach the gospel. Titles mean nothing.